Tiny T. Rex has a HUGE problem. His friend Pointy needs cheering up and only a hug will do. But with his short stature and teeny T. Rex arms, is a hug impossible? Not if Tiny has anything to say about it! Join this plucky little dinosaur in his very first adventure—a warm and funny tale that proves the best hugs come from the biggest hearts. 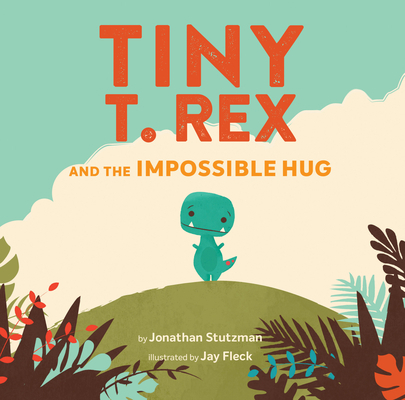 Introducing an unforgettable character on the picture book scene, Tiny T. Rex will stomp into the hearts of readers in this winning new series. Jonathan Stutzman is an award-winning filmmaker and writer. His short films have screened at film festivals all over the world and on television. He lives in Palmyra, Pennsylvania. Jay Fleck is an Illinois-based designer and illustrator who has illustrated many books for children. He lives south of Chicago.